When Sondra Dryer became PwC’s first Director of Recruitment Marketing 3.5 years ago, she didn’t know much about recruiting. That’s right. She was in charge of all the external branding initiatives for recruiting PwC’s 15,000 annual new hires, yet recruiting was relatively new to her. But she did know about marketing. That is what made the difference. As one of the world’s largest professional services firms, PwC has always had a strong brand with its clients. But with candidates? Not so much. When Sondra started, there was no overarching employer brand. There was a mish-mash of recruiting and brand personnel managing all of the marketing materials for recruiters. “No one was truly caring for the brand from an employee perspective,” she recalls. Over the past few years, Sondra and her colleagues have cultivated PwC’s employer brand and started utilizing experiential marketing tactics to engage candidates in a more meaningful way. Experiential marketing is a type of advertising that helps consumers experience a brand. Its goal is to form a memorable and emotional connection between the consumer and the brand, generating loyalty and thereby influencing behavior. 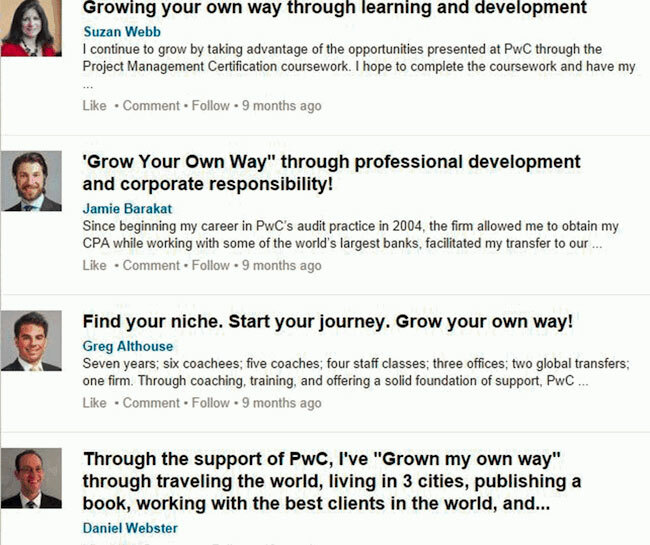 PwC campus recruiters used to give students a 50-slide presentation on all the different facets of the firm, its complex lines of service, and all the jobs available. Sondra’s team has built 15 workshops whose handouts and videos like this one are posted on a microsite for recruiters to download as needed. “Skill-building opportunities are what Career Services departments want from us too, so by providing these workshops, we’re also strengthening our relationships with the universities,” she adds. Coffee chats and resume reviews are other low-budget ways PwC gives its recruiters face-to-face opportunities with candidates. “Elevate” is PwC’s leadership development program. Every year the company invites several hundred high-achieving sophomores and juniors to a 2.5-day program all about discovering the self, and developing as a leader. Participating students naturally start feeling a connection toward PwC through the program, and in turn the company builds a pipeline of student candidates. This video sums up the program nicely. 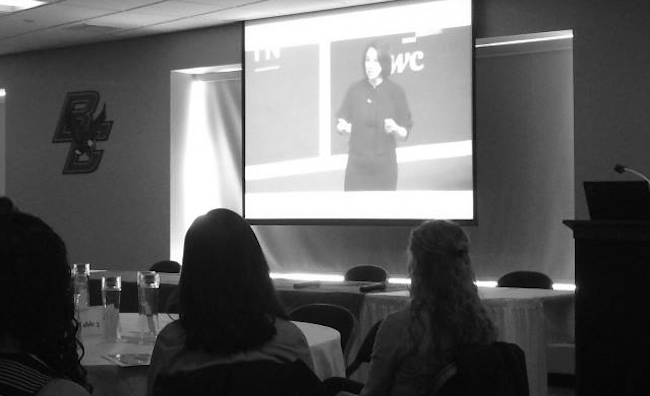 Last April PwC hosted a global “Aspire to Lead” webcast with Sheryl Sandberg on how college-aged women can start to ‘lean in’ as they launch their careers. PwC hosted viewing parties on hundreds of campuses, and then panel discussions with school faculty and other female business leaders. In addition, the company conducted related workshops on topics such as leadership development and building confidence. “Face-to-face experiences are critical to having candidates develop a relationship with your brand. But you also need to supplement those experiences and reach a broader audience with your digital assets,” explains Sondra. 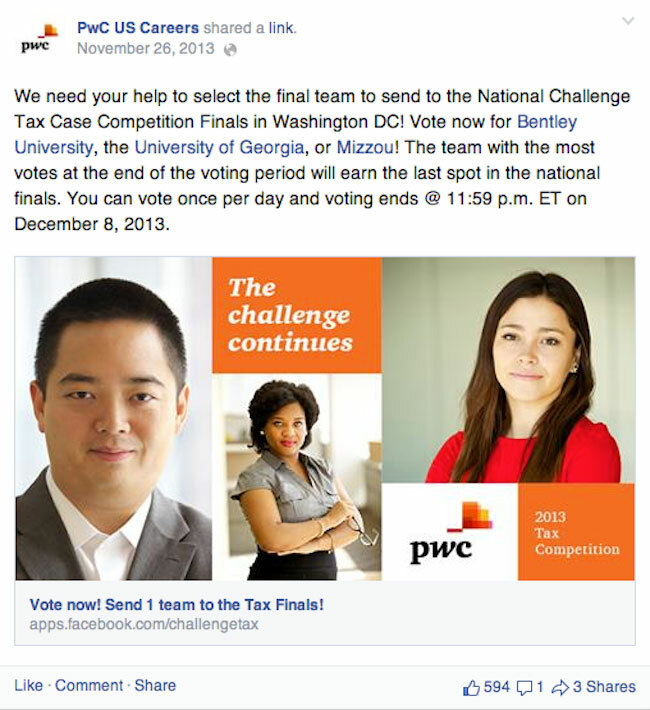 Every year PwC hosts a nationwide tax case competition among universities. For the first time last year, each semi-finalist team was asked to make a video presentation of their case that was posted to Facebook for a public vote. The school team with the most votes won a trip to the national finals. 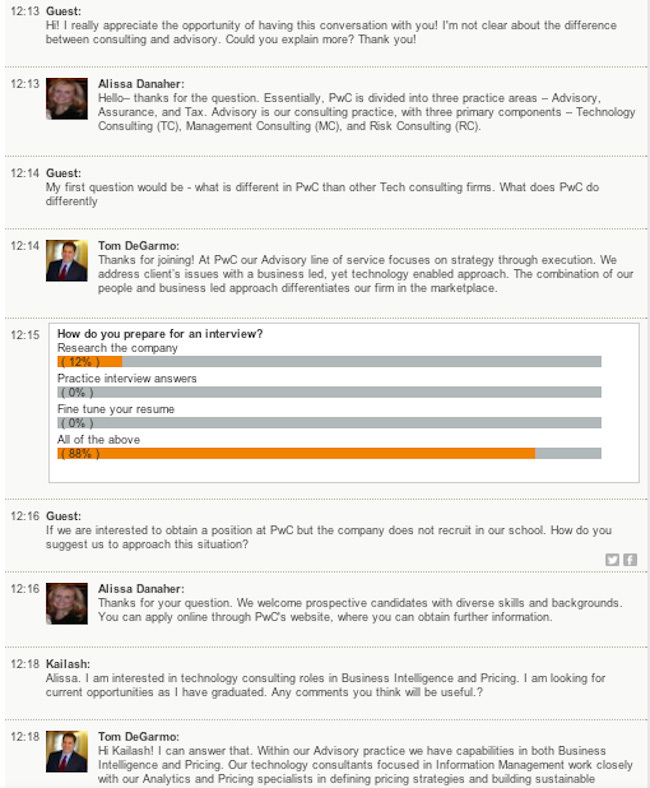 At different times of the year, PwC holds live one-hour chat sessions with candidates. Recruiters and professional staff answer the inquiries on the back end, offering everything from career advice to general job-search tips. Sometimes the live chats focus on a specific topic. For example PwC’s Advisory Technology Consulting group recently sponsored one with candidates, focusing on questions related to that part of the business. 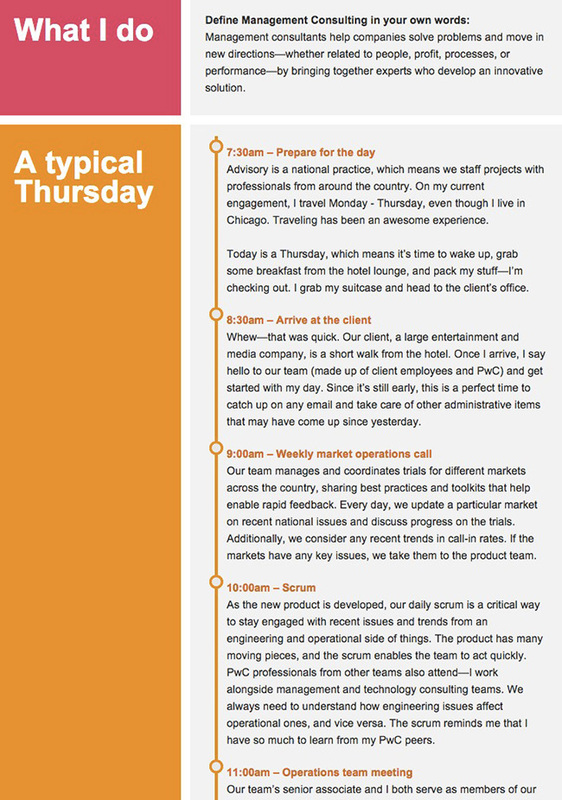 One neat feature on PwC’s careers site is a series of “day in the life of” employee descriptions. They are so detailed and packed with personality that they simulate talking to actual employees about their day-to-day lives at work. Every two years, PwC does a massive survey to a) identify if it is attracting its fair share of talent and b) to evaluate the performance of that talent. Sondra will be sharing more detailed data at her Talent Connect session, but “across the board we’ve seen unbelievable results because of our experiential marketing,” she says. 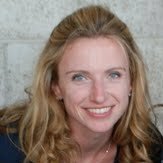 Don’t miss Sondra at Talent Connect in San Francisco Oct 20-22 when she will be talking about using experiential marketing to build a talent brand, and so much more.